With over 30 different colours in our coloured envelopes range, you've really got to think about which matches your project best. All made from the highest UK produced paper, we will not be beaten on quality. 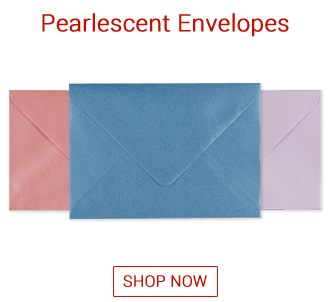 Coloured envelopes are perfect to compliment your greetings cards, invitations, direct mail and more. 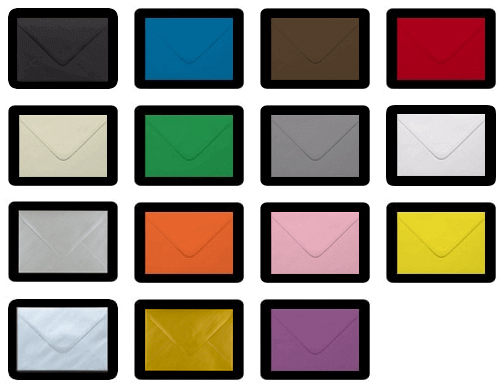 Using a coloured envelope for your project or mailing will increase the chance of the recipient opening the envelope compared to a standard white envelope. 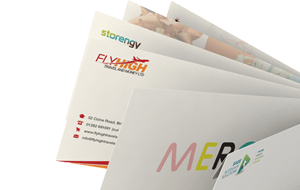 Coloured envelopes are eye-catching, exciting and will leave a lasting impression. Our expanding range is one of the most extensive online. With colours ranging from pastel blues to dark blues to bright fuchsia pinks and scarlet reds. Add a real feel of quality to a card or insert with a high quality coloured envelope. 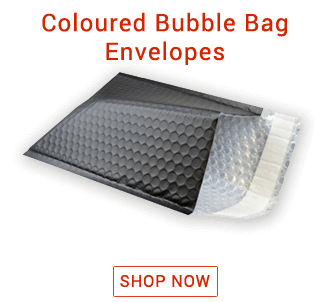 Our envelope colours range from vibrant colours to pastel shades and are available with a gummed diamond flap or a peel and seal flap in all sizes.